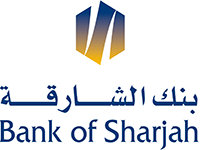 Emirates Lebanon Bank SAL aims to establish itself as a leading commercial bank of international standards. Our team of professionals strives to satisfy your needs through excellence in banking services and innovative tailor-made solutions, coupled with extensive know-how in banking operations and risk management. we make sure dreams come to life. « Wisdom » is a retirement plan and a life insurance offered by Emirates Lebanon Bank sal, proposed by Willis Towers Watson Lebanon in collaboration with Libano-Suisse s.a.l. It allows you to build up a capitalized amount for your retirement. Securing your child's education, today. Tuition is a saving plan and a life insurance offered by Emirates Lebanon Bank sal, proposed by Willis Towers Watson Lebanon in collaboration with Libano-Suisse s.a.l. Easy, Fast and Convenient !